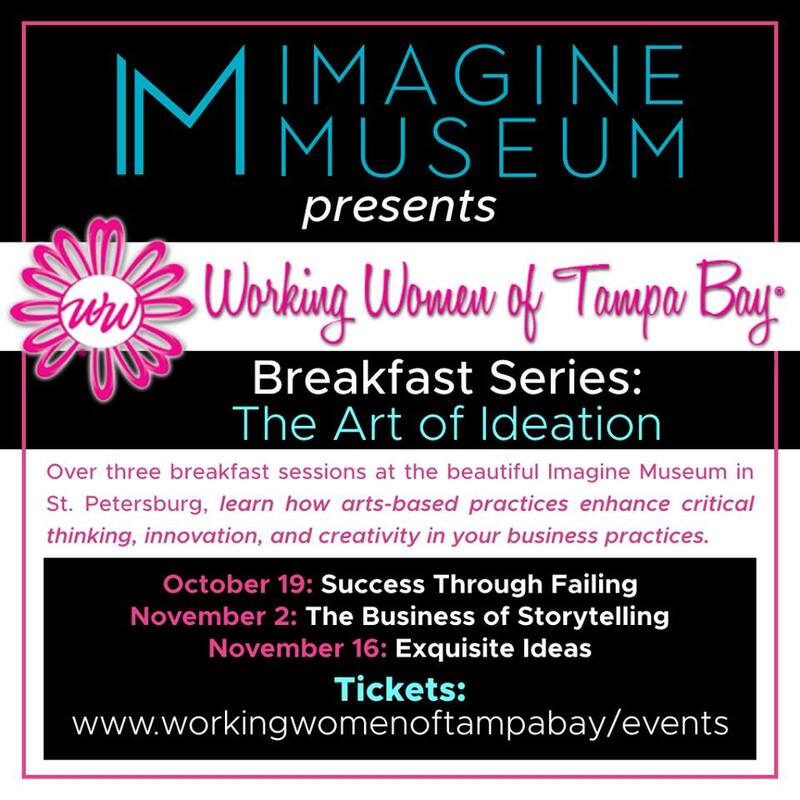 Working Women Of Tampa Bay is teaming up with the Imagine Museum to present a new breakfast series: “The Art of Ideation.” This week’s topic is The Business of Storytelling. Great stories prompt action. Inspired by screenwriters pitching to movie producers, this session helps crystalize big ideas down to their DNA and focuses on what persuades others to act.